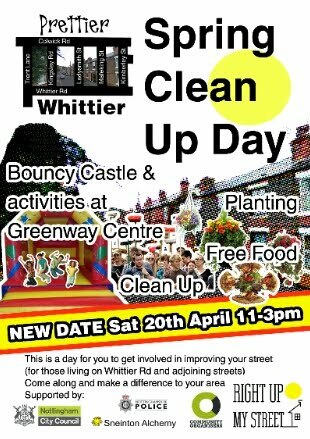 The Prettier Whittier Residents' group have announced a new date for their spring street clean event: Saturday 20th April, 11-3pm. Originally delayed due to extreme weather, the reorganised event will feature a bouncy castle, free food, planting and clean up activities. Of course it will also be a great chance to meet your neighbours and see how we can work together to improve our neighbourhood.